Whether you take careful consideration when getting dressed or you don’t give it much of a thought at all, you should always care about what you wear because it represents you in a way that speaks louder than almost anything you have to say about yourself or the perceptions people may currently have about you. And more importantly, how you dress influences your behavior. By not caring about what you wear, you are sending the message that you don’t care about yourself or that something isn’t going well for you in life. Have you ever seen someone that usually wears a dress and then all of a sudden they start wearing pants and you begin to think, “what’s wrong with them?” or you’ll say, “there’s something different about you”​ and usually there is something wrong with them or something has changed in their life. There may be times when this is you and you don’t even realize it because you’ve dressed this way on a subconscious level or because you were more focused on what has changed in your life that you don’t even realize that your overall look has changed. If this has happened to you, then whatever has occurred is seriously affecting you and needs to be fixed. So whenever you find yourself dressing differently in a negative way, pay attention because your mind is telling you, you need help to get over this new challenge. 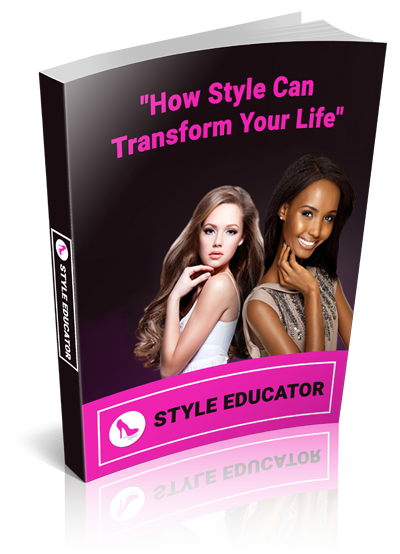 Some other things to keep in mind .are that what you choose to wear affects the life you live and many people fail to realize that, which is why I’ve created a style education program. Without explaining how it exactly affects the life you live, I will open your mind so you can make your own conclusion. Do you ever notice that you get better customer service from people when you dress in luxury vs when you dress in sweats? Do you notice your confidence level when you wear heels vs when you wear flats? Do you notice your behavior changes when you dress the same as the people around you vs when you dress completely different? If the answer is yes to any of those questions, then you already know that how you dress should be of high importance to you and if the answer is no, then I’m sure the next time any of those situations occur, you will then understand what I mean. Of course there will be days that you just want to wear sweats to make a quick run to the grocery store and that’s completely fine. I’m only recommending that you watch for the signs that your mind is telling you about your life in the choice of your clothes and that you dress for who you are because you are what you wear.